Protection against corrosion and weather for piles made of metal, concrete or wood. Can also be installed under water. Outstanding weather protection and environmentally friendly. 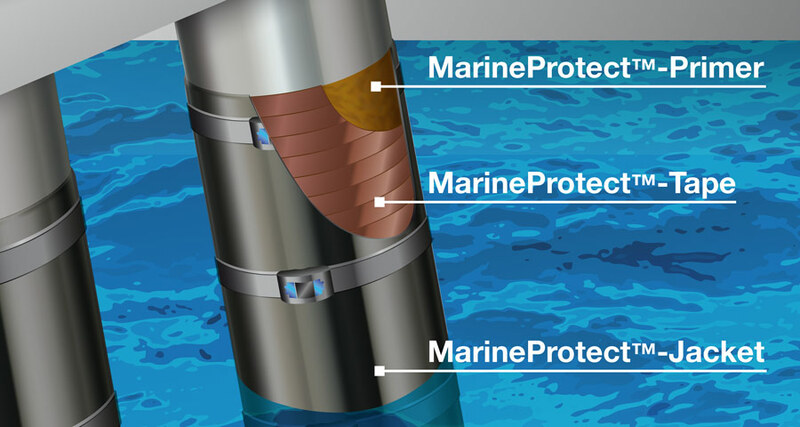 MarineProtectTM-100 is a system solution for protection against corrosion and weather on piles or pipes that are partly submerged in water. It is ideal for use in strongly corrosive environments in which conventional paint systems and coatings are inadequate. 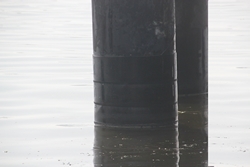 MarineProtectTM-100 can be used in many ways: it can be applied problem-free on piles made from metal, concrete or wood, and can be adapted to round or hexagonal piles. MarineProtectTM-100 is a system solution for corrosion protection in ports and domestic ports. Piles on piers and landing bridges, which are subject to high corrosive and mechanical loads, can be protected effectively with the easily applied MarineProtectTM-100 system. As a pier and harbour protection system, MarineProtectTM-100 has been used successfully across the world for many years.